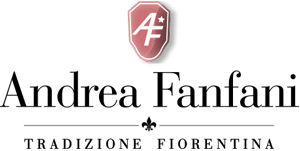 Andrea Fanfani gives you the option of customizing the design of classic furniture to make the pieces you want, both in sizes and in finishes. Starting from a single inspiration, our furniture becomes a complete system of classic Italian furniture. Design flexibility ensures a tailor-made piece of furniture to fit harmoniously in the room it was made for. The creation of custom-made classic furniture adds powerful elegance to any interior, whether it is a single piece of furniture or a complete interior design project. For any room, whether the living room, bedroom, kitchen, or bathroom, tailor-made design makes interiors with great personality reflecting the style of classic Italian luxury furniture in every last detail. Custom-made projects include yacht furniture design, creating visually appealing designs that also meet functional needs to let interior designers and architects express themselves fully. .